One component sulphate resistant cementitious prebagged fast setting waterproofing slurry. Vapour permeable, water pressure tight, high strength surface waterproofing that quickly sets for application onto brickwork and cementitious based substrates. 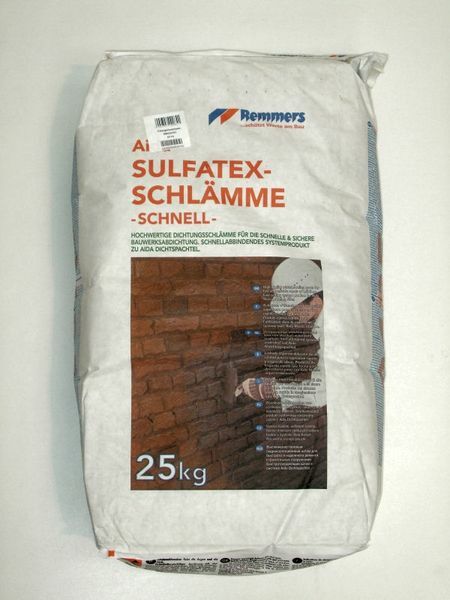 Easy to use, time and cost saving, for fast waterproofing in combination with Restoration Render in just one day. Provides additional deep waterproofing protection and protection against masonry salts through silicification with Kiesol.